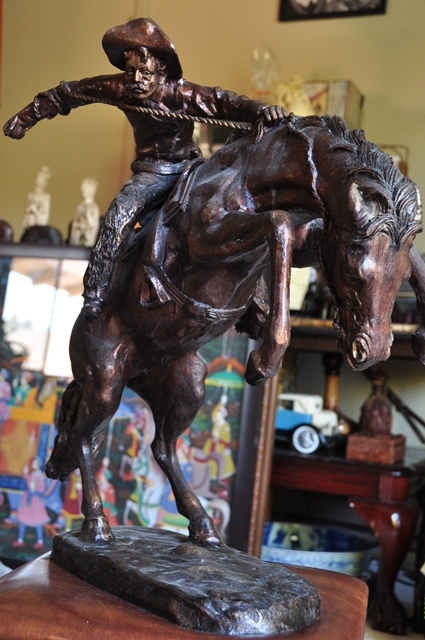 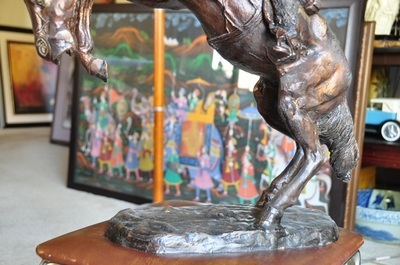 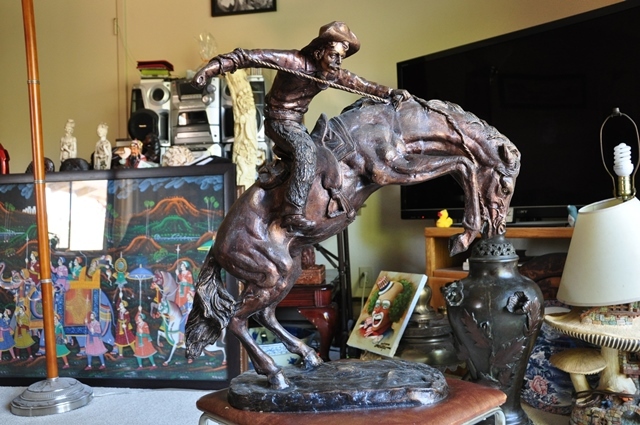 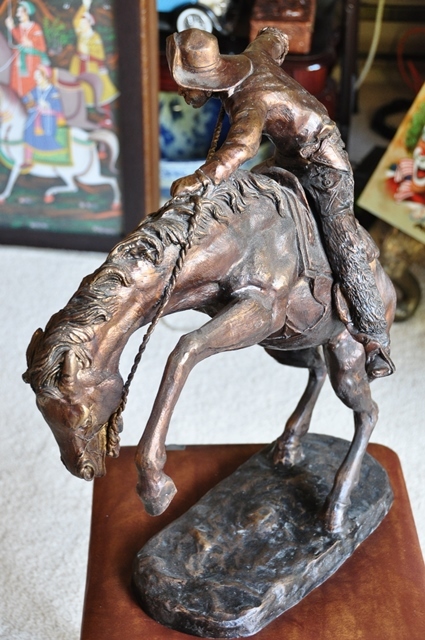 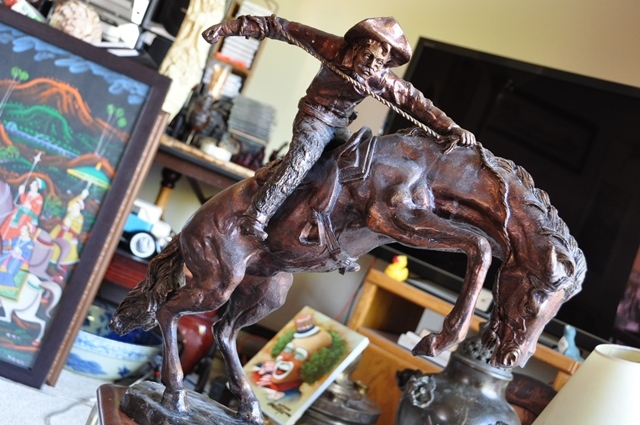 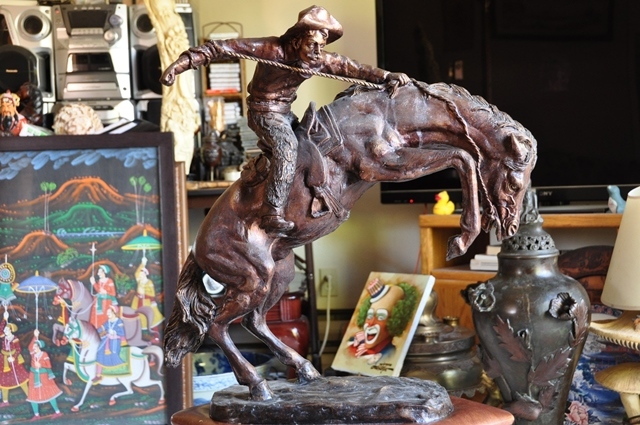 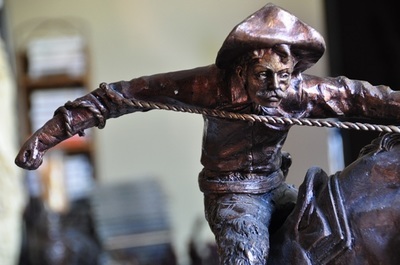 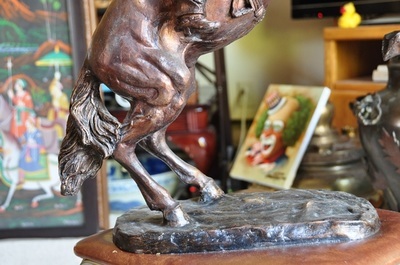 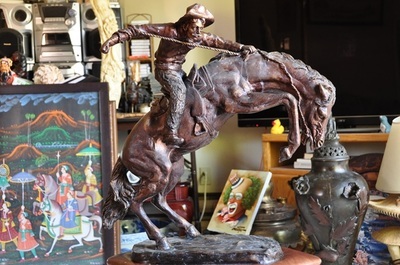 This is a bronze reproduction of the sculpture titled The Bronco Buster by the American sculptor Frederic Remington. 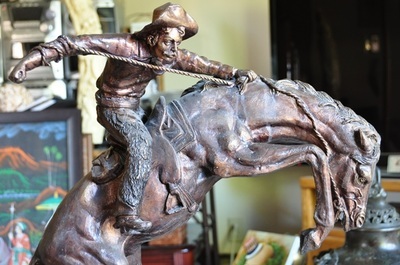 It portrays a rugged Western frontier cowboy character fighting to stay aboard a rearing, plunging bronco, with a stirrup swinging free, a quirt in one hand and a fistful of mane and reins in the other. 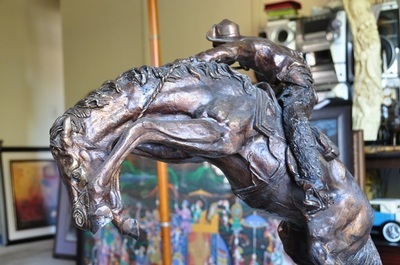 It is about 22" tall, 21" long and 25 lb in weight.